Gloria Jean Holt 1962. Thanks to Linda Giovanna Zambanini. Gloria Jean Holt worked in the billing department of the T.S.B.D. and left with Stella Mae Jacob and Sharron Nelson (formerly known as Sharron Simmons at about 12:10 to walk down about 50 yards down Elm St. near the Simmons Freeway sign. Gloria Jean Holt 1963. Thanks to Linda Giovanna Zambanini. Since she left with Stella Mae Jacob, she is also captured in the very same pictures. 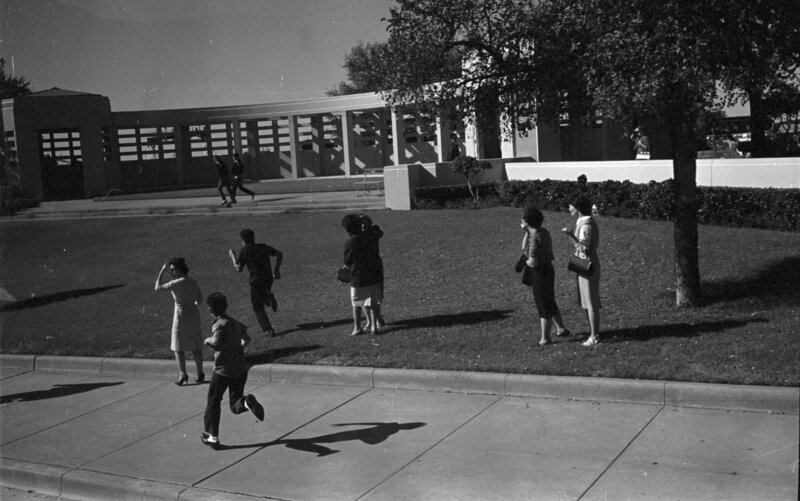 Such as the Betzner 3 photo. Gloria Jean Holt in Betzner 3. Click pic to enlarge. 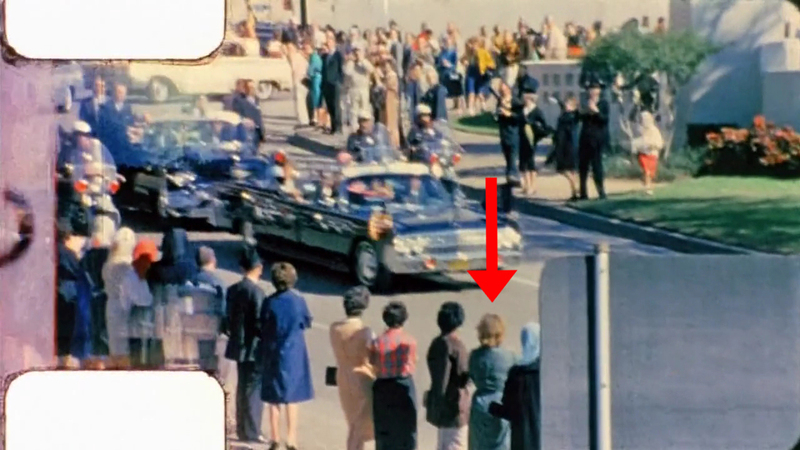 And also in Zapruder, where we can see she had red hair. 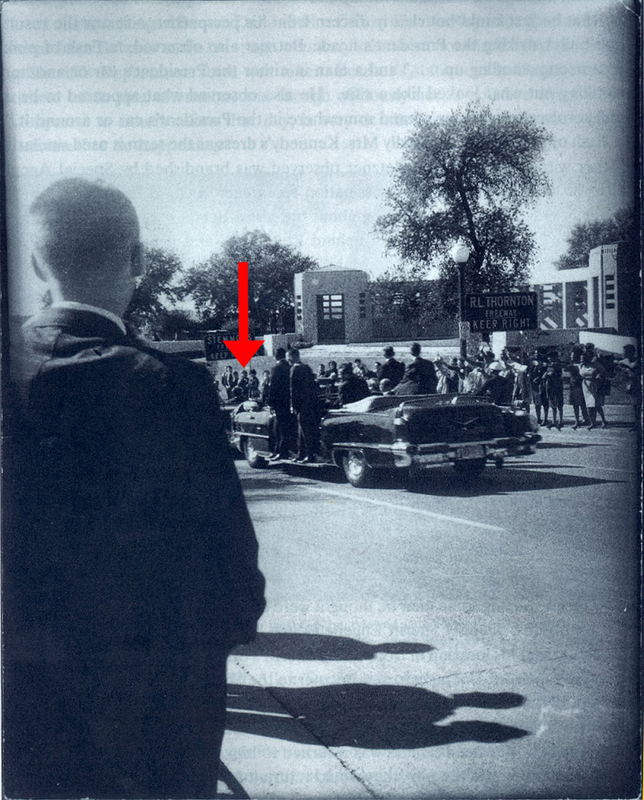 Gloria Jean Holt in Zapruder. Click pic to enlarge. And she is comforted by Stella shortly just after the shooting in the Cablun photo which was taken while the press bus went down Elm St.
Gloria Jean Holt embraced by Stella Mae Jacob not long after the shots had been fired. Pic. : Harry Cablun. Click pic. to enlarge. Captured by Jimmy Darnell in the centre and crying next to Stella Mae Jacob. Gloria Jean Holt (centre) in the Darnell film. Like Stella Mae Jacob she was not allowed back in the T.S.B.D. so she went home instead.